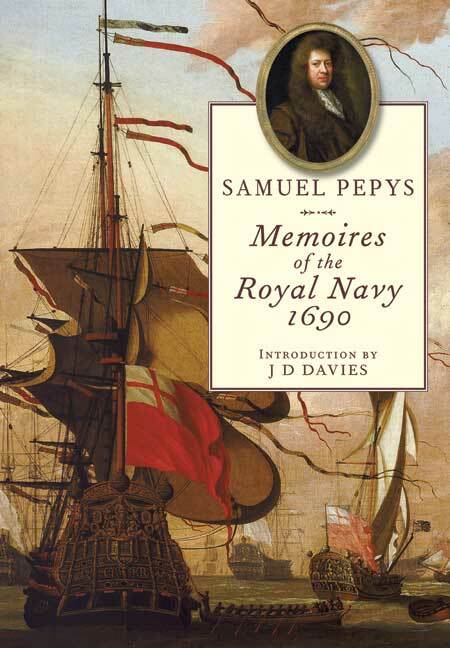 You'll be £19.99 closer to your next £10.00 credit when you purchase Samuel Pepys: Memoires of the Royal Navy 1690. What's this? The new introduction by David Davies explains the political controversy which formed the background to the book's publication, and shows how Pepys manipulated his mastery of arcane information - indeed, he would have made an ideal spin-doctor to a modern government. The original appendix is a detailed list of the state of the fleet in December 1688, which in this edition is illustrated with contemporary drawings of typical ships. This attractively produced volume will be of considerable interest and value to students of naval history, though its authorship and political implications lend it wider appeal. Although he died more than three hundred years ago, Samuel Pepys is still by far the world's best-known naval administrator. For that matter, he is almost certainly also the world's best known bureaucrat and political "spin doctor". This fascinating little book was written after he lost his job in a massive change of government in 1688. It is unbelievably prescient. Any current senior defence bureaucrat or admiral who not studied it should be dismissed immediately. No matter what your nationality, most things naval remain the same. Pepys was a cynical and brilliant writer. Dr Davies has done an excellent job of converting his wisdom to current idiom. A masterpiece! seventeenth century life in London. What is much less well known is that his famous diary was not published until over a century after his death. Memoires was the only book Pepys published in his lifetime. With a new introduction by J D Davies, a leading historian of the Restoration Navy, this pocket-sized, facsimile version of the original book provides an inventory of ships and an overview of the Royal Navy at the time. More significantly, it is also Pepys's personal vindication of his achievements while at the centre of naval administration in the ten years leading up to his dismissal in 1688 when William and Mary came to the throne. In the manner of today's leading politicians and disgruntled civil servants, who after leaving high office in Whitehall rush to publish their memoirs, Pepys's version of events is intentionally the one he wanted remembered, rather than it being a true record of what actually took place. Pepys was a 'political animal', a 'master of spin', long before such terms were in everyday use. Despite his many faults, when read together with Dr Davies's illuminating essay, and for those who prefer to use their own selective scalpel, rather than relying on someone else's swashbuckling cutlass, to separate fact from fiction in naval history, this is an intriguing and ingenious memoir. Recommended reading for all serious students of the period.